The list of U.S. Secretaries of State is quite a rogues' gallery. There have been 108 of them, but 38 of those have been so-called "acting" secretaries of state, filling in until someone could actually be nominated and confirmed. Some names of secretaries of state might be recognizable because they were also presidents, like Jefferson or Madison, or almost presidents like William Jennings Bryan, or would have killed to become president like their husband had been. John Calhoun had a lake in this town named for him until it got its Dakota name back this year. I bet a lot of people could accurately tell me whether Daniel Webster was a politician, a celebrity chef, or a whale trainer. George Marshall and Henry Kissinger and John Foster Dulles have a little blood-soaked name recognition. Some will recall Alexander Haig claiming to be in charge when Ronald Reagan was in the hospital, and some could name the past 20 years' worth of hucksters, weapons dealers, and thugs. Depending on your team loyalty you may take the most pride or shame in Madeline Albright defending the murder of a half million children or Colin Powell telling the United Nations fairy tales to unsuccessfully legalize a genocide in Iraq. Others have a little name recognition because they were part of this country's favorite catastrophe ever, World War II. But who has ever heard of Frank Kellogg? Of the 34 regular secretaries of state since there has been a Nobel Peace Prize, five have grabbed one. None of the five was qualified. The prize is meant to fund the work of war abolitionists, not to honor powerful Western officials who do something right that stands out primarily due to its contrast with the horror of what they usually do. The best you can say for Marshall, Root, or Hull getting the prize is that they weren't consistently awful. You can't even say that for Kissinger. But what about Kellogg? 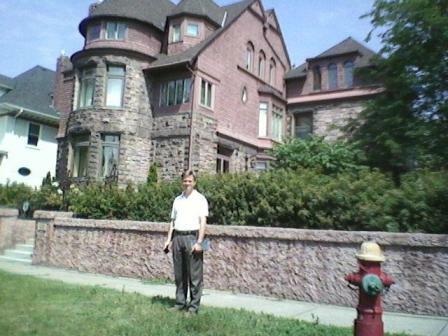 You can walk down Kellogg Boulevard in St. Paul and not find anyone who can tell you who Kellogg was. If Frank Kellogg had launched a major war, he might be better known. But he is the only Secretary of State with his name on a treaty that bans war, and the only one buried in a section of the National Cathedral in Washington D.C. dedicated to peace. When people visit Charlottesville, where I live, they'll find that everyone from local liberals to visiting Nazis worships at the shrine of Thomas Jefferson. When I come to St. Paul I don't find the same recognition of Frank Kellogg. I think it's largely thanks to the work of Veterans For Peace that anybody has heard of him at all. Wikipedia does not list him as a notable person from St. Paul. The Wikipedia page on the Kellogg-Briand Pact is, however, somewhat less dishonest and dismissive than it was some years back, largely due to the publication of a book called The Internationalists, about which more in a minute. I think the answer to the movement to take down racist war monuments (and rename lakes) is, first, hell yes; second, unless you can find me a non-racist war monument, that means the war monuments are all coming down; and third, we need monuments to movements and moments and causes and accomplishments and principles, not to individuals. Individuals are always flawed, always participate in some of the popular outrages of their time and place. So, I'd rather celebrate the Kellogg-Briand Pact, the movement that compelled Kellogg to create it, the good it has done the world, and the good it could yet do the world. I'd rather not celebrate Frank Kellogg as a hero or a deity. But he is the connection that the Twin Cities have to the Peace Pact, and if we must celebrate individuals and identify cities with individuals, he should be bumped up to the top of the list as a symbol of peacemaking. While U.S. culture frequently employs the word "democracy," it's never remotely had such a thing. Rather, it's had governments made up of people who want power. Back in Kellogg's day, a movement to require a public vote before the United States could fight a war was stopped by powerful people in the U.S. government, which at its best has been partially representative. But in Kellogg's day -- I mean the 1920s, when Frank Kellogg was in his sixties -- the U.S. government was in some ways more representative than it is now -- not of racial or religious or ethnic minorities, not of children, but women could newly vote, and bribery was still treated more as a crime than a public service. The military industrial complex, as we've come to know and be ruled by it, hardly existed. Corporations did not yet have full human rights. Peace was not associated with treason or recklessness, but -- if anything -- with rejecting the backward warmaking ways of Europe. Business interests, including those of farmers, favored peace. The mass media cartel and its propaganda skills, while dramatically advanced during World War I, were nothing like what they would become. Most importantly, and in part because of these other factors, there was in the 1920s a peace movement the likes of which we have not seen since. It was not huge like in the 1960s. It was closer to all-encompassing. It had the four biggest political parties in the country backing the criminalization of war, including the Socialists and the Progressives -- five with the Minnesota Farmer-Labor Party. It was led, not by college students, but by university presidents, and bankers, and lawyers. The Outlawry Movement -- the drive to outlaw war -- was backed by the National League of Women Voters, the Young Women's Christian Association, the National Association of Parents and Teachers, the American Legion, the Federal Council of Churches of Christ, the Methodists, the Baptists. If you can find an organization that existed in the 1920s it is likely on record for banning war and has almost certainly never retracted that position but simply forgotten it. The peace movement of the 1920s was not created by a draft. It was not created by selfish appeals to people's financial interests. It did not succeed by outdoing the warmongers in its devotion to flags and troops. It was an explicitly moralistic movement opposed to the mass killing of foreign and American soldiers alike. And it took hold of Frank Kellogg, flipped him upside down, shook him five times, set him on his feet, kicked him in the pants, and won him a Nobel Peace Prize for which he never thanked anyone beyond the portly one-eyed hot-tempered drunk he saw in the mirror. Kellogg entered the drama that I covered in my book When the World Outlawed War with some anti-corporate credentials. He was a Republican lawyer who had busted up monopolies for Teddy Roosevelt, including General Paper Company, Union Pacific Railroad, and Standard Oil. If Frank Kellogg had been a foreign ruler a generation later, the CIA would have overthrown him. But in the early 20th century one could talk about economic matters, not mention the military, and make perfect sense. Today everybody does that, and nobody makes any sense at all -- it's crazier that actually having an elephant in this room and never mentioning it. This week a friend of mine, Sam Husseini, the same guy who was tossed out of Trump and Putin's press conference for fear that he might ask a question about nuclear weapons, asked what question he might best ask Senator Elizabeth Warren. I recommended this question: "Rashida Tlaib, Alexandria Ocasio-Cortez, and Ilhan Omar, all likely to be in Congress in January, propose slashing military spending to pay for human and environmental needs. Do you agree?" In a far less militarized era, Kellogg was an Elizabeth Warren. As a senator from 1917 to 1923, he backed or generally failed to oppose a World War, and U.S. military actions in Russia, Panama, Cuba, the Dominican Republic, Haiti, Mexico, Honduras, Yugoslavia, Guatemala, Turkey, China, and West Virginia. He backed one resolution suggesting that U.S. troops be withdrawn from Russia "as soon as possible." He backed free passage for U.S. ships through the Panama Canal. He ultimately opposed the League of Nations. As Secretary of State, Kellogg threatened Mexico with war if it tried to profit from its own fossil fuels. The Marines stormed into Panama, Honduras, and Nicaragua. Kellogg signed arbitration treaties with 19 nations but was unpopular and widely mocked prior to the creation of the Peace Pact. When U.S. peace activists first placed words suggesting what would become the Kellogg-Briand Pact into the mouth of French Foreign Minister Aristide Briand, Kellogg cursed the French as a set of bleep bleep bleepity bleep fools. And if there was anything Kellogg hated, he said, it was the bleepity bleeping pacifists. If people in the mid 1920s had all thought the way many think today, there would have been nothing the peace movement could have done but wait for an election in hopes that it might install a bunch of better senators and a new cabinet. Today we cheer when politicians claim never to be influenced by public opinion. When someone like Hillary Clinton switches her position on gay rights, she's not credited with -- for once -- following public opinion, but mocked for being inconsistent. If she'd ever been inconsistent on militarism that would have been a step up. Today we're told that transforming the U.S. government into one through which a public demand can impeach and remove a fascist like Donald Trump would be a bad development because of who Mike Pence is. But the peace movement of the 1920s created a new law banning all war and got it through the U.S. Senate by changing the whole culture and influencing the actions of existing officials, not replacing them with others. That officials could be threatened with unelection far more credibly than they can today must have helped, but they could also be threatened with shame. The poor senator from Wisconsin who cast the only vote against Kellogg-Briand was censured by the Wisconsin legislature. Senators who made speeches against the Peace Pact voted for it, explaining that they wanted to be allowed back in their states.